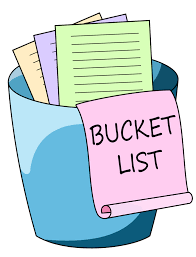 Bucket List- Who’s in Charge after Your Death? So long as one is alive and mentally capable, one is in control of her own financial and legal affairs. Once a person passes away, a fiduciary needs to be appointed by the Surrogate’s Court to determine and pay estate debts , collect and distribute assets, file relevant tax returns and pay taxes, vacate a rental property used by the deceased or sell a property owned by the deceased. Also, if the deceased left minor children surviving, a guardian needs to be appointed to care for the children on a daily basis. This post will explore the types of fiduciaries that may be involved after a person’s death and how they are appointed. If a person dies without a will (intestate), the Court will appoint an Administrator to serve. The Administrator to be appointed will be the same person who will inherit according to the intestacy statute. For instance, if the closest survivor is a sister, such person will inherit the deceased’s assets and serve as the estate administrator. Guardians for minor children (under 18 years of age) will need to be appointed by the Court in the event that the person dies intestate. Since a parent should not leave it to the Court to appoint a guardian for her children, it is prudent for such person to engage the services of a qualified professional to draft a will containing her wishes relative to fiduciaries. We have posted previously about the merits of having a will and/or trust. In either case, fiduciaries are selected by the person making the will or trust. Executors are formally nominated in wills. They are charge of paying valid financial obligations and distributing assets that are collected. The testator (person making the Will) can select the best person in her life for the position of executor. Perhaps she is estranged from family and would prefer not to have the Court appoint the surviving relative according to statute in the case of intestacy. Also, the testator may have a friend who is sophisticated with respect to financial matters and is best suited to act as executor. Trustees of trusts take on similar roles as executors. Of course, selecting a guardian to raise one’s children in the event of death is a highly personal and important choice to be exercised. Music lovers, reeling from the recent news of Aretha Franklin’s death, have now found out that the “Queen of Soul” died intestate, without a will. This blog has previously addressed the matter of another musician, Prince, having passed away without a will and the legal repercussions. 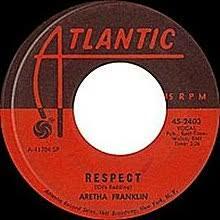 We will address the legal issues that have arisen once the “Queen of Soul” passed away without a will. In Michigan, where Ms. Franklin had her primary residence, the assets of an unmarried person are left in equal shares to her children. New York would have a similar disposition. Devil’s advocates might say that if the legal result of having no will is the same as having a will, that the children will inherit the assets, what is the benefit of having a will? First, if one has a will, the fiduciary of the estate (Executor) can be selected by the decedent, rather than the default person being selected according to statute. For instance, musicians such as Prince and Aretha Franklin leave vast music catalogs deserving of post-death management by an expert who has knowledge of how to handle such specialized assets. Second, a person making a will may have a preference for how the assets will be distributed, instead of the statutory default of all children sharing equally. If Ms. Franklin had devoted greater consideration to this issue, she may have found it appropriate for the “red roses” in the garden in “Spanish Harlem” to be transferred to the child who would most appreciate and care for this asset. Further, family infighting over her “pink Cadillac” could have been avoided, so that the ride “on the freeway of love” could take place without delay. Apparently, Ms. Franklin valued privacy and nondisclosure of her assets during her lifetime. The best way for her to have avoided the additional public disclosure that takes places when one dies without a will would be to have made a revocable trust. That way, assets titled in the name of the trust would be transferred automatically after death as directed in the trust, with no public disclosure and without Court intervention and the delays that it may entail. News outlets have recently reported on the Will contest brought by the children of the late country singer Glen Campbell. This post will address the concepts of diminished capacity and undue influence and whether these concepts can potentially invalidate a Will in New York. In general, a person can make a Will and disinherit his entire family or those deemed of close relation. The exception to this rule is that one cannot disinherit a spouse, as spouses qualify for at least a minimal portion of the estate under the concept of elective share. Potentially a person may be estranged from his family and decide to leave his estate to a friend or someone else who is close to him. New York Surrogates Courts generally favor the making of a Will and will not invalidate a Will merely because a particular person was disinherited. 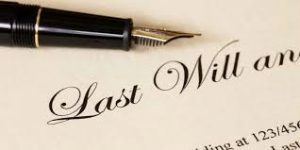 However, a Will can be contested on the basis of the diminished capacity of the person making the Will. Diminished capacity is when the person making the Will is afflicted with a physical or mental ailment which may cloud his judgment or render him unable to know his own wishes. 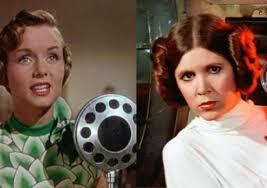 Let’s say that the testator (the person who made the Will) was suffering from Alzheimer’s disease, like Glen Campbell. Such an affliction does not automatically invalidate the Will. New York Courts have held that if the testator had a “moment of lucidity” when the Will was signed, then it will be valid. So long as the testator understood the general assets of his estate and the “natural objects of his bounty” (the identity of his family members or friends), the Will should be upheld. Prudent legal practitioners typically meet alone with the testator before the Will is drafted and before it is signed to ask questions and attempt to evaluate the mental capacity of the testator. The recollections of the meetings should be memorialized in a memorandum to the client’s file in the event of a Will contest. Is it Time for a Redo? We have written extensively about the pitfalls in not having a will. As such, many clients heed that warning and request that their attorney draft a will and other associated estate documents on their behalf. While these clients have taken responsible action and had their estate documents drafted, additional tasks are required. We suggest that estate documents be reviewed and potentially redrafted on a periodic basis for the reasons highlighted in this post. Most people experience changes in their life and in the lives of those around them that require revision of estate documents. Such internal changes are as follows. 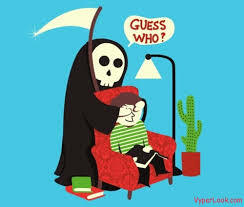 Perhaps the executor appointed in the will does not currently get along with the testator (person making the will) or is unable to perform his duties due to illness or death. Maybe the formerly adorable child is now an irresponsible young adult, whose inheritance should be left in a trust. Perhaps an estrangement of relationship has occurred, so that the testator wishes to disinherit a relative. These events are under the knowledge and control of the testator. Relationships and events may result in the need to revise estate documents. Some of these events are divorce of the testator or adult child, a grandchild’s birth, receipt of inheritance, retirement, and chronic disability. 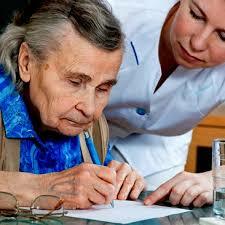 Your attorney will assist you in adjusting your estate documents whether or not such events are joyous. As our political landscape is more uncertain than ever after this week’s election results, our readers cannot be certain that estate tax repeal is on the horizon. Also, most people do not own substantial assets so that estate taxes may apply to their estates. However, most of our clients could benefit from the drafting of a Will and other estate documents by a skilled attorney. This post will address the benefits of engaging a qualified attorney to draft your estate documents. 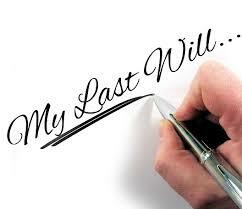 Without a Will, one’s property will be left according to the laws of intestacy. Intestacy distribution through an administration proceeding may serve most people well enough. For instance, if one’s closest surviving relative is a daughter with whom there is a good relationship, the parent would have no problem with the daughter inheriting her entire estate. However, if there is also a son with whom the parent has an estranged relationship, intestacy would result in both children sharing in the estate equally. Since this is not a result favored by the parent, the drafting of a Will is essential so that the parent’s wishes that only the daughter inherit will be honored. Also, should the parent wish for both children to inherit, but in unequal portions, a Will would be needed to address this desire. Likewise, a Will can allocate responsibility for the payment of estate taxes between beneficiaries and may direct that only certain assets be liquidated in order to pay estate taxes. When working with an attorney to draft estate documents, the opportunity to select an executor to manage the estate is also available. Otherwise, with intestacy, the person who inherits the estate also is appointed to serve as administrator to manage the estate. This may not be a favorable result if this person is not as prudent in managing money as another person that may be selected by the decedent. Coming of Age- Do You Know Someone Turning 18? If you are like this author , someone close to you may be about to turn eighteen years of age. 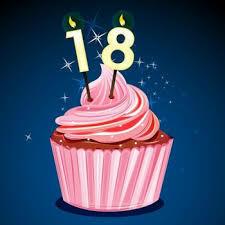 This post will discuss the legal ramifications of turning eighteen. Additional rights and privileges as well as legal responsibilities occur once a “child” becomes eighteen. Such a person can now vote, run for office, legally support oneself, and be employed full-time. An eighteen year old male will be penalized if he does not register for the military draft. All eighteen year olds are treated as adults if they commit a crime. Since we practice particular areas of law, this author will address the implications of turning eighteen as they apply to those areas of law. Also, rights and obligations vary by state, so this post will only address these matters as they relate to New York. Eighteen year olds have the right to enter a contract and to apply for credit. Therefore, our soon-to-be eighteen year old can apply for a mortgage and sign a contract to buy a house. Contracts involving real estate, whether for sale or for a lease of more than one year must be in writing. Once a person is eighteen, he can make a Will and other estate documents. While we do not want to consider that someone so young may pass away, without a Will, his assets will be distributed according to New York’s intestacy law. Also, an eighteen year old can inherit from someone who named him in a Will or in an Administration proceeding if he is of the proper degree of relation according to the New York statute. Since many eighteen year olds may not be sophisticated enough to inherit substantial assets, those drafting Wills may decide to leave such assets to the child in trust until such age as they anticipate that the child will be mature enough to manage the assets. The timing of death is never particularly welcome. Some families are prepared, in that the deceased was elderly, maybe ill, and living in a nursing home. Perhaps such a person also had the foresight to have their attorney prepare her Will and other estate documents. 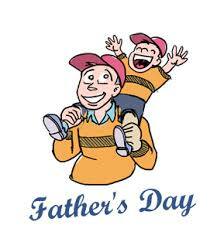 Others may pass away at a relatively young age, in the prime of life, with ongoing financial and personal activities. This post will examine the legal ramifications of passing away while a legal matter is pending. Imagine that the deceased was a party to a contract concerning the sale of a house which has not yet closed. The first step that the survivors would need to undertake is to review the contract and determine if it addresses the potential death of one of the parties before the closing. In most cases, the seller is bound to the terms of the contract through her successors. This means that the survivors cannot decide to nullify the contract and move into the house. However, the seller is not available to conclude the transaction. The attorney for the seller would need to apply to the Surrogate’s Court to apply for Letters Testamentary or Letters of Administration , which appoints the appropriate fiduciary to act for the Estate in order to complete the closing. Should circumstances warrant, it may be prudent to apply for Preliminary Letters Testamentary or Preliminary Letters of Administration, to permit the sale to conclude if it is jeopardized by a continued delay. If the deceased was the potential purchaser of the house, the contract is likely to allow the purchaser’s survivors to cancel the contract. This is a logical result, as the transaction is inherently dependent upon the purchaser maintaining a job in order to pay the mortgage and other carrying costs of the house. Forcing this transaction to conclusion is a cruel result. In most cases, the downpayment is refundable. However, some contracts only provide that half or none of the downpayment would be refunded. It is advisable to have your attorney negotiate a favorable disposition for the downpayment in this instance when representing a purchaser, even if he is a young person.